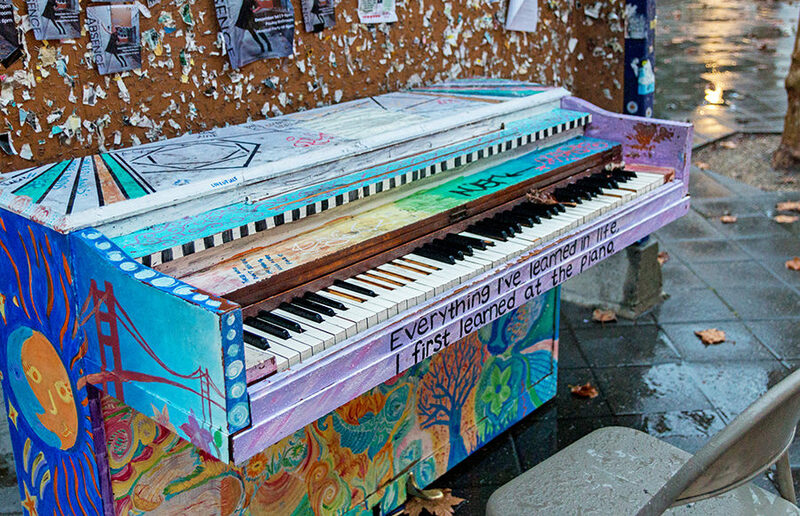 The public piano located on Sproul Plaza was vandalized recently, causing confusion about its destruction and sadness among students. Campus junior Jonas Katona, one of the owners of the piano, speculated that the piano was vandalized sometime during Thanksgiving break. 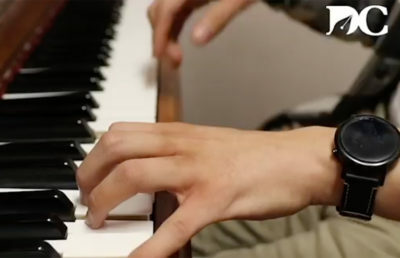 Almost all of the keys were smashed into the keyboard so they can no longer be pulled up, and it is likely, according to Katona, that most of the hammers inside of the piano are broken. Many of the black keys were also snapped off and removed. According to Katona, he and his friends who initially purchased the piano are thinking about salvaging some of the “beautiful” art on the wood of the piano, but repairing the instrument is unlikely to be feasible because of the damage it has sustained. Currently, Katona and his friends are considering using the remaining money raised through a GoFundMe page in April to buy a new piano, but they are unsure of how or if they will get a new one. According to Katona, he and his friend Daniel Geng had an old upright piano in Geng’s apartment that he did not want anymore. 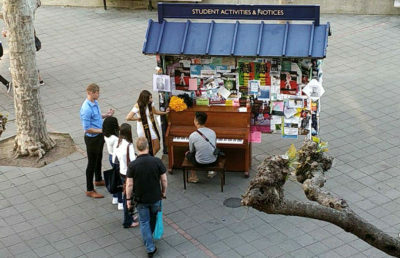 They mutually decided to place this piano on Sproul toward the end of the spring 2018 semester as a “social experiment,” and they observed the piano’s immediate impact to the campus. Two days later, however, the piano was stolen about 2 a.m. Katona made a post in the Free & For Sale Facebook group asking for any details about the missing piano. Geng made a GoFundMe page to try to obtain a new piano. 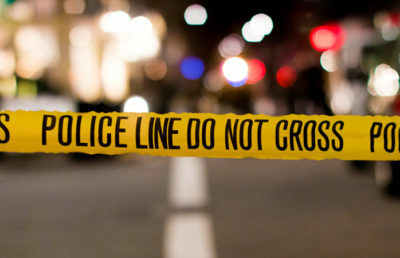 Geng and Katona used the money to buy a used piano from a woman who was moving out of Berkeley; they also bought equipment, such as heavy bike locks, to keep it secure. Additionally, the two had the piano painted, which would decrease its worth “tremendously” and deter anybody from stealing it, Katona said in an email. Once they purchased the piano, the friends were able to find a cart, wheel the piano onto Sproul Plaza, and chain it up. They also found some people who were able to waterproof the piano. Students on campus harbor bitter and upset feelings over the vandalization of the piano. A note that was taped onto the vandalized piano read, “You destroyed a therapeutic and joyful aspect of our campus.” It also described how the person who left the note used to play the piano every day to take a break from classes, relax and learn an “exciting” new instrument. Campus freshman Lillian Shallow said the vandalism was “disappointing” and that people need to think about how their actions affect others.